MediaWiki powers some of the largest wikis in the world, like Wikipedia, WikiAnswers, and AboutUs. However, just because it’s the most popular choice doesn’t necessarily mean it’s the best. In fact, there are a handful of strong alternatives that may suit you better in the long run. It’s great that MediaWiki is so flexible and versatile, but that comes at the price of complexity. It can be troublesome to set up and maintain, which may lead to chronic frustration. On top of that, the documentation is lacking in some areas, making the learning curve a bit steeper than it should be. If you still want to use MediaWiki in light of those downsides, by all means go for it, but for those of you on the lookout for something different, let’s explore the alternatives. Tiki (sometimes called TikiWiki) is one of MediaWiki’s greatest competitors, which is both true and untrue in some ways. Tiki is an all-in-one solution that comes packaged with a powerful wiki engine alongside several other big features, including a blog, photo gallery, forum, ecommerce, socialization, and more. Most of the features in Tiki are disabled by default and you can activate whichever ones you want, so if you just want to run a wiki you’re free to do so. Because of this, Tiki as a whole is more comparable to CMS solutions like Joomla and Drupal than MediaWiki, but if you only look at Tiki’s wiki engine, it is indeed comparable to MediaWiki. Is Tiki right for you? Use Tiki if you’re planning on running a big website with a big community (thousands of active users) where all of the sections need to be integrated with one another. Otherwise, Tiki will undoubtedly be too bloated for you. No, seriously, Tiki is huge. DokuWiki is quickly making a name for itself as a stable, easy-to-use wiki platform for all sorts of purposes. The greatest selling point (don’t worry, it’s free) is that it doesn’t use many resources and it doesn’t require a backend database because it stores its data in flat files. If all you have is a PHP webhost, you can still run DokuWiki. Yet even though DokuWiki is nowhere near as cumbersome as Tiki and MediaWiki, it’s still powerful. It can handle varying levels of user permissions, it supports over 50 different languages, and it can be customized through templates and plugins. It has an active community that continues to grow to this day, so it’s not too late to join in the party. Is DokuWiki right for you? As far as MediaWiki replacements go, DokuWiki is probably the best one out there. If this is your first wiki, DokuWiki is a good choice because it’s easy to setup and simple to use. All in all, it’s a solid choice all around. 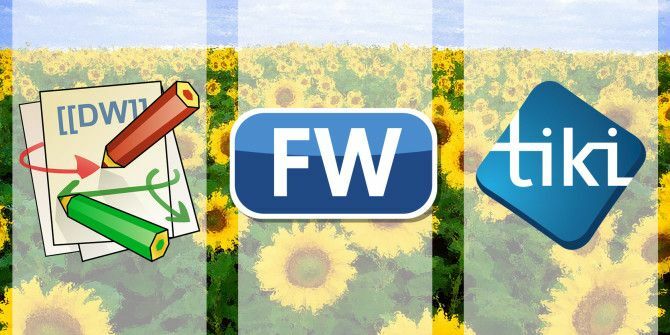 FosWiki, which stands for Free Open Source Wiki, is an offshoot of another wiki called TWiki. This wiki engine focuses on delivering an enterprise-level solution free of charge. It comes with many built-in tools that make it easy to learn and easy to use, making it great for intranets and collaboration with non-technical users. One of the strongest features of FosWiki is dynamic pages. 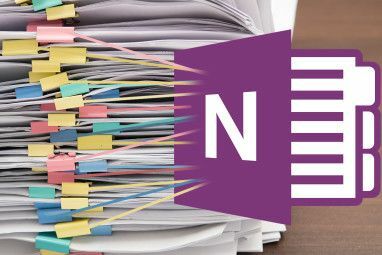 Using an Excel-like system of macros, you can program various pages to display dynamic information, such as status boards, to-do lists, bug trackers, and more. There are nearly 100 predefined macros, but you can define your own as well. It doesn’t get more powerful than that. Like DokuWiki, it also uses a flat file backend as its database. Is FosWiki right for you? If you aren’t going to make good use of FosWiki’s dynamic page programming feature, you’d be better off using something else. However, if you plan on having many dynamic pages that depend on data pulled from elsewhere, FosWiki is a strong choice. Long story short, if you need a direct replacement for MediaWiki, DokuWiki is probably your best bet. 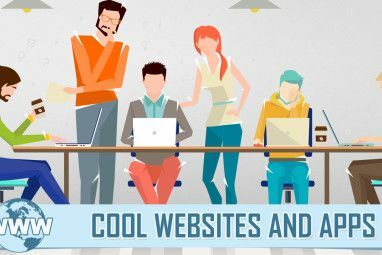 However, if you’re going to have a massive website with many different sections that all interact with one another (e.g., blogs, forums, ecommerce, etc. ), then you ought to look into Tiki. Lastly, if you want the power of programmable pages that can display dynamic information, go with FosWiki. If you’re planning on hosting a small wiki just for yourself, forget about the ones listed above and check out these awesome personal wikis 4 of the Best Personal Wikis to Keep You Organized 4 of the Best Personal Wikis to Keep You Organized What if there was wiki software designed to help you out on a personal level? You could use it for anything, for example to outline your novel, keep track of home improvement projects, or plan... Read More instead. If you’d rather use a wiki-style notebook, CherryTree CherryTree: A Wiki-Style Notebook That’s Polished and Functional CherryTree: A Wiki-Style Notebook That’s Polished and Functional Do you need help keeping your notes and thoughts organized? There is more to note taking than Evernote! Less conventional alternatives outside the mainstream include personal wiki-style notebook apps like CherryTree. Read More is what you need. 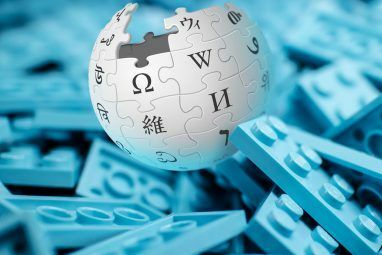 Do you run a wiki of your own It's Not Only Wikipedia: 5 Offbeat Ways To Use Your Own Wikis It's Not Only Wikipedia: 5 Offbeat Ways To Use Your Own Wikis You probably have a practical understanding of how Wikipedia works. To sum it all up, anyone can edit the information on a page, and they can do this quite quickly. These are the basic mechanics... Read More ? If so, which platform are you using and why? Share your thoughts with us in the comments! Any thoughts on which one is more scalable - Tiki wiki or Doku wiki? I plan to build a massive directory of organisations (with tens of thousands of pages - perhaps going to 100 thousands in a few years). Started out with DokuWiki as the lead choice, but #1 and #4 above are making me question the choice before I get too far. Would love anyone's perspective. Thanks! It even supports the Mediawiki syntax out of the box so if you're moving from Mediawiki it's a good choice to consider. I am so glad I found your page. DokuWiki is by far the winner in my eyes. Thank you ever so much. You're welcome. I hope DokuWiki serves you well! +1 for DokuWiki, easy yet powerful. It has many of the features of MediaWiki, but also a number of features that are not available in MediaWiki. Most notably there is support for dynamic content through the embedded Python language support. I haven't seen many notable .Net wikis but yours looks pretty good. Hopefully you can build up a strong following and take it even further! Thanks for sharing. I really like TiddlyWiki but only as a personal wiki. I think it's too simple for a public endeavors.